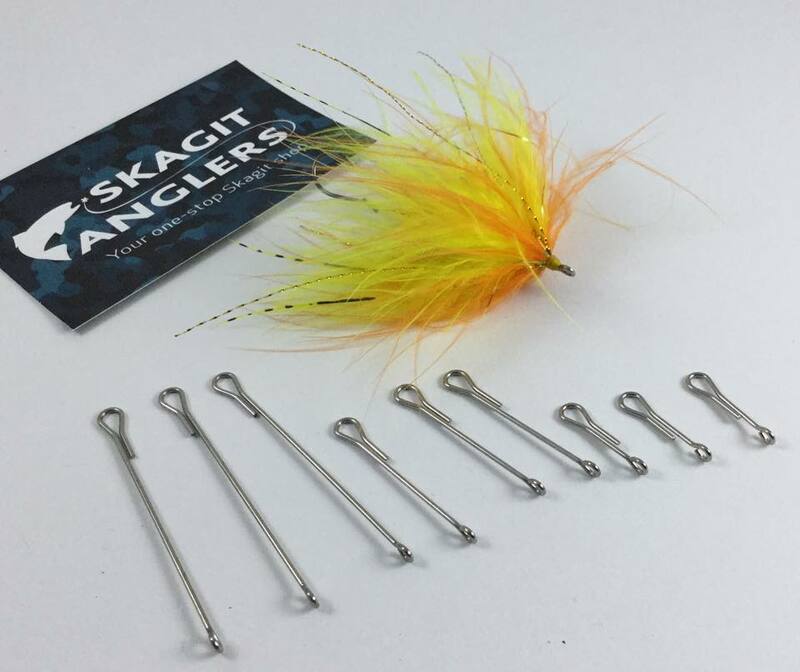 A lot of new flytying materials are comming in every day at the shop (www.skagitanglers.com). 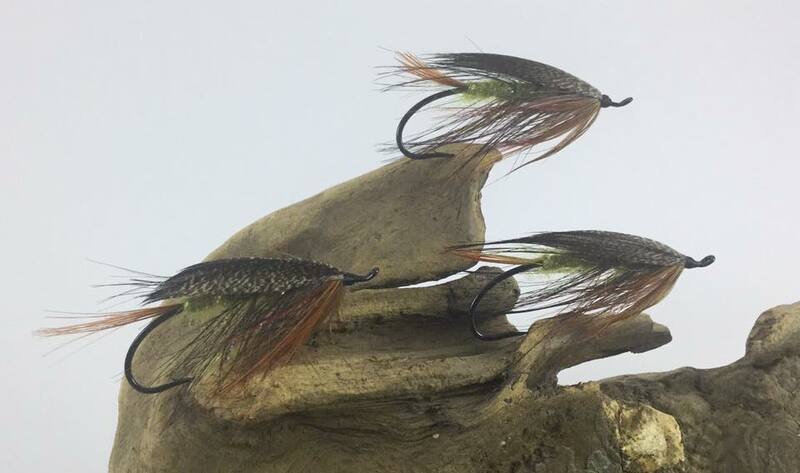 We're super busy takeing care of costumers orders but still find the time to tie a few flies now and then. 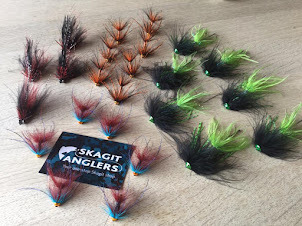 We have been steeping back to the roots a bit and have been tying a few old school spey flies as well as some more of the "usual" intruder type flies for salmon and steelhead for the comming season. It's still dark and cold outside but now it's the best time of the year to fill the boxes. 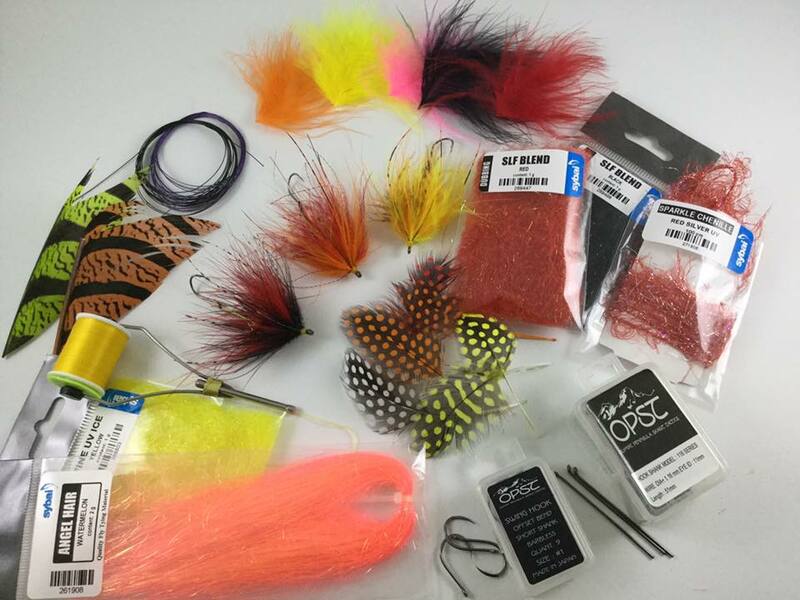 Hope you might find inspiration in these pics to help you fill your own fly box with hot flies for the 2016 season. 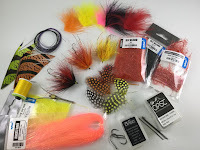 We have a lot of new top-quality materials from Semperfli, OPST and Sybai in stock. The list is too long to sow here so we urge you to take a tour in the shop. Our suppliers for sure knows how to produced the best materials we've seen in a long time. We also present to you our new Skagit Shanks in stainless steel. 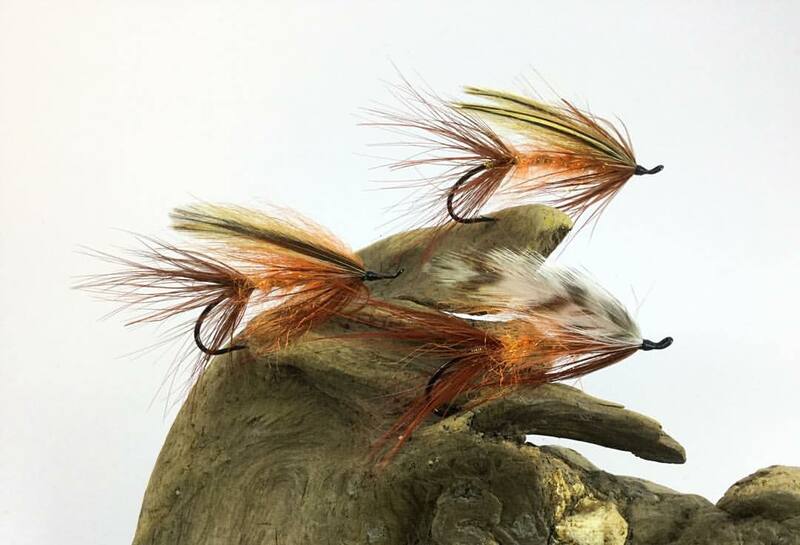 These articulated shanks in 3 sizes are perfect for a lot of different flies and we love tying our Hoh Bo Speys on these shanks simply because it looks stunning. 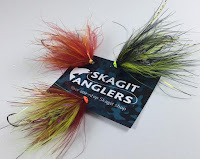 Hoh Bo's fish best unweighted and tied on our new shanks you will get a light and well balanced fly which is super hot for salmon, steelhead and seatrout throughout the season. 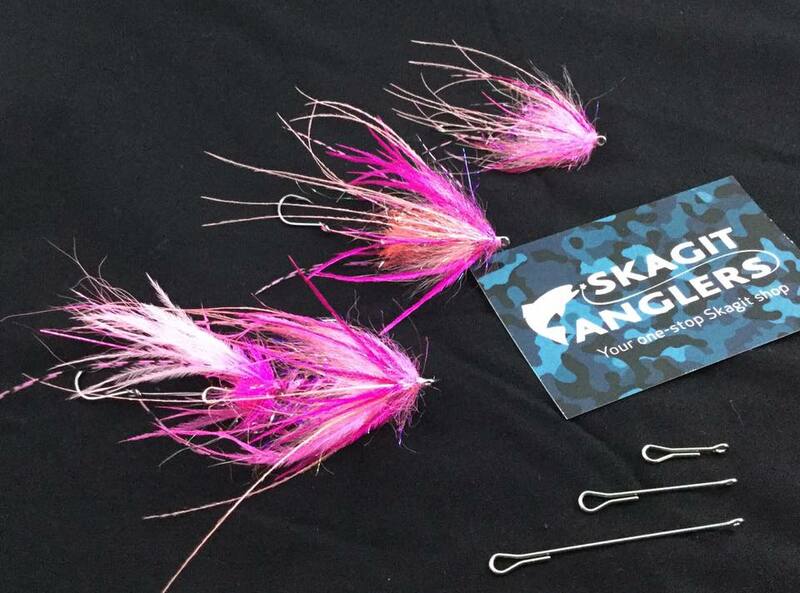 Skagit Shanks in 3 sizes. Here's just a few pic of the latest creations for you to enjoy (hopefully). All materials can be found in the shop. 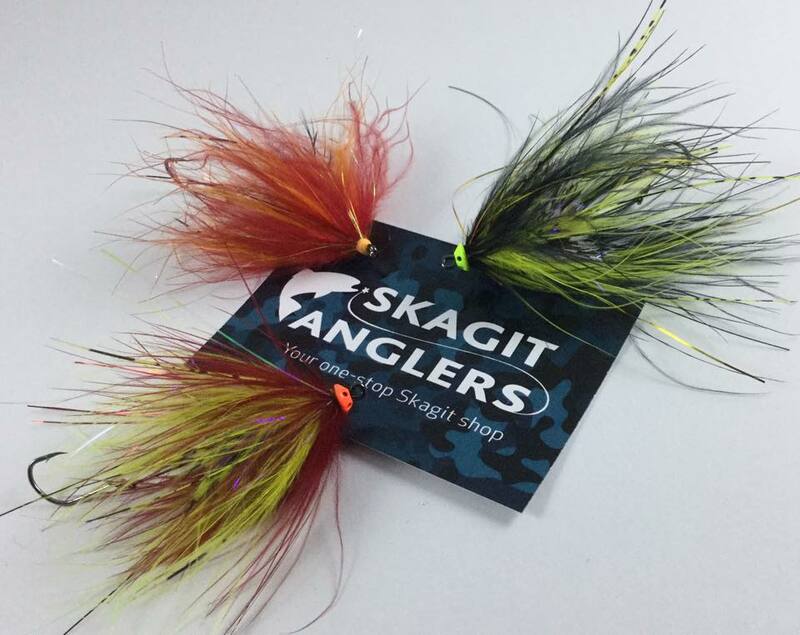 Feel free to contact us is you have any questions on info@skagitanglers.com. Take care and happy tying out there to you all.